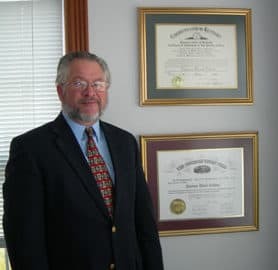 Attorney Thomas Collins offers the same type of client centered services that were once found in small towns throughout the country. In those bygone years, your family professionals such as your doctor and lawyer were people that you knew and who were part of your community. Mr. Collins continues that tradition in his practice. A “Will” is a legal document with the purpose of allocating your estate upon your death. Are you or someone you know in trouble with the law? Mr. Collins worked as a public defender for 8 years prior to opening his private practice. Estate planning involves a comprehensive review of your assets. Following completion of the review, a plan is custom tailored to fit your priorities. Probate is the ending of one’s “legal” life. When an individual passes away, their physical life is over at the moment of their passing yet their legal life continues until it is closed. If you have been injured because someone else was not as careful as they should have been, then you are legally entitled to receive money for any expenses you have had to pay, any work that you may have missed and the pain and suffering that you have had to live with. This area of the law includes divorce; custody and child support matters; adoption; post-divorce issues. 2019 © Thomas Collins, Attorney at Law.